I’m a coffee fan, and I like to treat myself to a proper coffee-shop coffee now and then. Nothing beats a decent cup of coffee served by a barista – and unless you have a coffee machine in your kitchen that cost the same as a small car, it’s just not something you can recreate at home. I’m generally more of a dine-in kinda girl. I like the experience of just sitting there, maybe reading the paper, chatting with friends and family, watching the world go by. But there are times when I get takeaway. When there’s no tables, for example. Or no papers. Or I want to take my coffee with me on the train, to my desk, or to the park. I’ve always been suspicious of takeaway coffee cups. Even before I knew about plastic, I wasn’t a fan. With their lids that often don’t fit properly, their flimsiness (squeeze too hard and you’re wearing the coffee) and their non-recyclability, nope, I wasn’t a fan. But bio-degradable takeaway cups? Now they seemed different. Made of renewable resources, and with their promises of sustainability and compost-ability, they seemed to be the answer. But then I looked into it a little more. From a environmentally-responsible and sustainability point of view, traditional takeaway coffee cups are bad. At worst, they are made of styrofoam (polystyrene), which is a plastic foam packaging that is rarely accepted for recycling. Even the takeaway coffee cups that are seemingly made from paper or card contain plastic – they have a polyethylene lining – which makes them non-recyclable. (How else could they be waterproof?!) And plastic is made from non-renewable fossil fuels like oil. So what about biodegradable takeaway coffee cups? Well these are free of plastics made from fossil fuels. One company that make these cups is BioPak: instead of using plastic from fossil fuels, they use a plastic called PLA made from cornstarch, and state ‘compostable and biodegradable’ on the packaging. However, actual compost-ablility of some of these brands is questionable. I have friends who have tried composting these ‘eco’ cups and putting them in worm farms, and months later they are still completely intact. But even for those brands which will compost, they won’t break down if they’re sent to landfill. The conditions of landfill sites mean there is no oxygen, so microbes cannot break down anything that would normally be biodegradable. There’s nothing sustainable about using a compostable cup unless you are actually going to compost it. 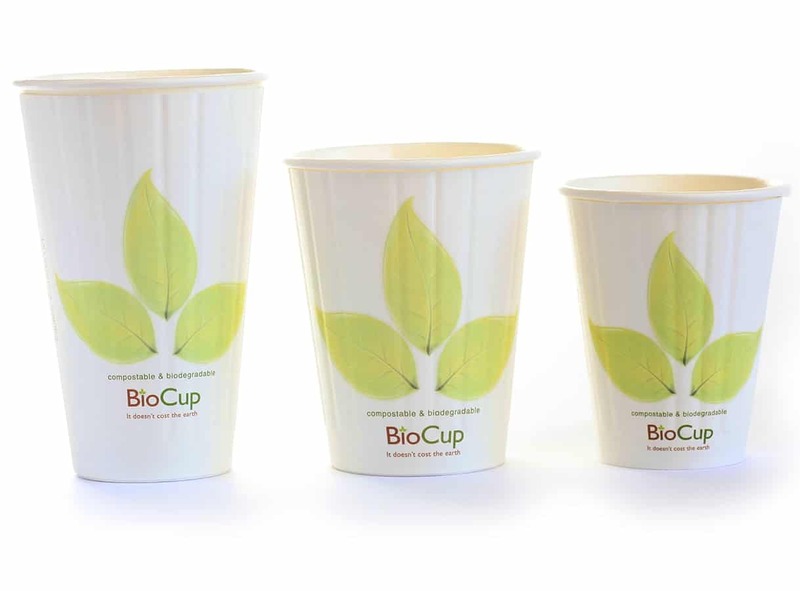 In fact, on their website BioPak acknowledge that their cups will only break down in a commercial compost facility, and are more likely to end up in landfill. So the main benefit to using these cups is that they aren’t made of plastic from fossil fuels. They use other virgin materials though, it’s likely they still use fossil fuels in their manufacturing processes, and they still cause the same problems with landfill. And another interesting thing I learned from the BioPak website, is that PLA is made from genetically modified corn. So this raises other environmental issues. Whatever they may claim, it’s hard to think of these cups as a real environmentally responsible solution. But what about when you want to buy a coffee? Ask yourself, are you really in a hurry? So much so that you can’t spare five minutes to sit down, drink your coffee and then go on your way? I’ve seen so many people buy a takeaway coffee and they’ve drunk the entire thing on the two minute walk back to the office before they’re even back at their desk. Oh. You are in a hurry. 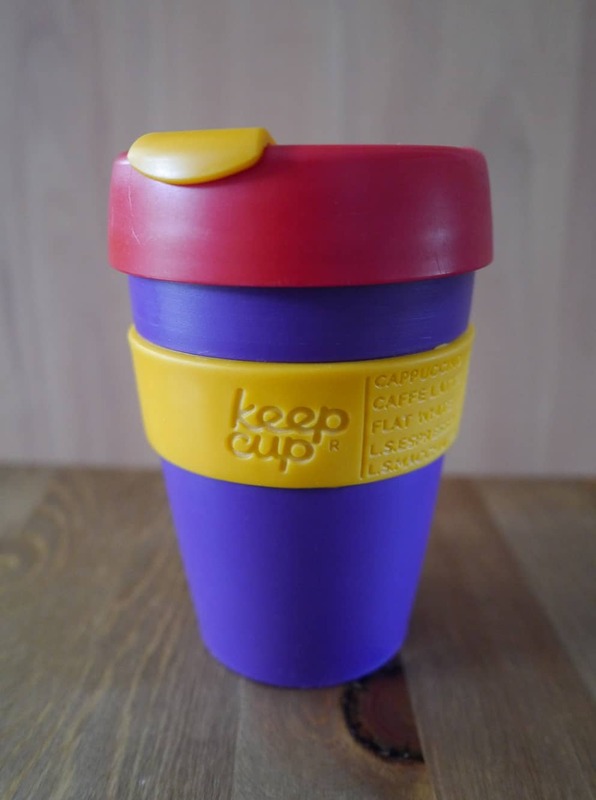 Buy a reusable takeaway coffee cup. There’s a few different brands on the market, but I bought a KeepCup. Yes it’s plastic, but it’s durable and I’ve used it numerous times. (I bought it after I gave up single-use disposable plastic, but before I started questioning the other plastic in my life.) I love it because it’s the same size as the standard takeaway coffee cup sizes, meaning it is accepted everywhere, I don’t get short-changed at the shop, it keeps your coffee warm longer than disposable takeaway coffee cups do, and it’s waste free! I would love it if they brought out a stainless steel version, but they haven’t as yet. If you don’t want to buy plastic, there are other companies which sell ceramic and stainless steel alternatives, although the sizes aren’t standardised. I aim to take my KeepCup with me whenever I go out. 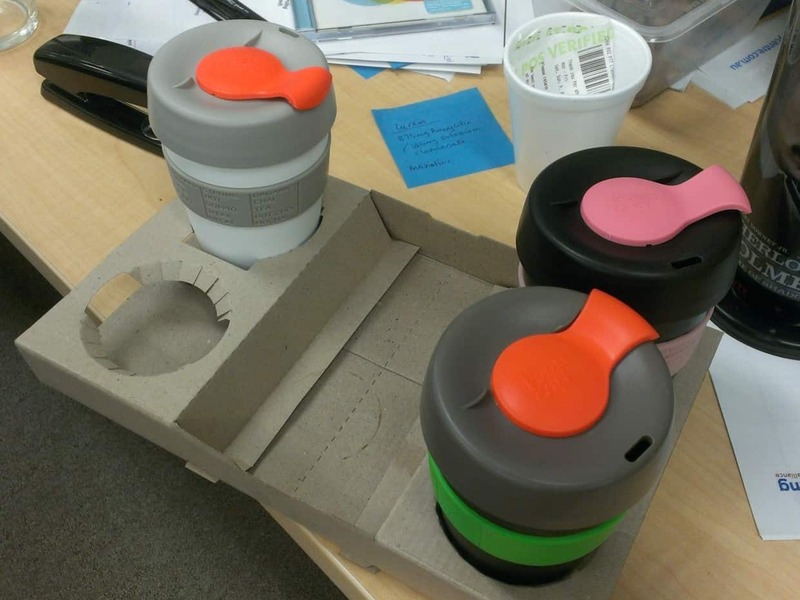 Even if I don’t want a coffee, it’s useful for using at water dispensers to avoid plastic disposable cups. And what if I want a coffee and I’ve forgotten my cup? I dine in.